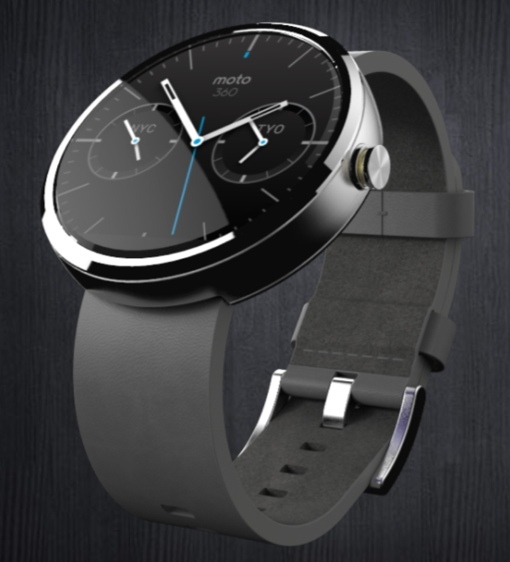 Motorola’s Moto 360 smartwatch won’t be officially unveiled until a media event on September 4. But thanks to an accidental leak from retail giant Best Buy, we finally have details on the elusive device. According to a now-removed sales page, the Moto 360 smartwatch will feature a 1.5” Gorilla Glass touchscreen with 320x290 resolution, 512MB of RAM, a built-in optical heart rate monitor, and a pedometer for keeping track of your fitness. Like all Google Gear Android devices, the watch will operate primarily through voice command. The Moto 360 appears to be priced at $249. That’s slightly more expensive than the poorly reviewed $229 LG G Watch and the $199 Samsung Gear Live. Still, the new smartwatch, with its “stainless-steel case and plastic case back,” may be worth the extra cash just in terms of looks alone. We’ll definitely be keeping a close eye on this watch. No release date was given for the device.